Could the luxury high-performance coupe and sedan have been outdone? Cadillac may have pulled it off this time. Then again, it’s no easy task to dethrone the BMW M3 and M4. Audi, Mercedes-Benz, and Lexus have all been unable to accomplish this, despite their many attempts. But Cadillac is out to prove something. It not only wants to become a global luxury marquee, but also one that’s equated with superior performance and handling. To summarize, it wants to crush the Germans, mainly BMW. 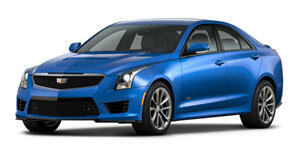 With the unveiling of the 2016 ATS-V coupe and sedan, Cadillac seems quite confident it’s mastered this segment. Power comes from a twin-turbo 3.6-liter V6 producing 455 horsepower and 445 lb-ft of torque, with 0-60 mph coming in 3.9 seconds. Buyers will choose between a six-speed manual or an eight-speed auto with paddle shifters. 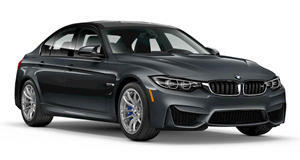 The M3/M4 duo comes powered by a twin-turbo inline-six that’s good for 435 hp and 406 lb-ft. Both a six-speed manual and seven-speed dual-clutch are offered. 0-60 mph time? 4.1 seconds for the manual and 3.9 for the DCT. So which brand do you prefer? Has Cadillac possibly created a new benchmark? Let us know in the comments and poll ahead.